In a saucepan, bring 250ml of water to the boil. Add the tea bags, swirling to release the flavours. Bring a saucepan of water to the boil and carefully add the eggs. Simmer for 6 minutes, then cool down in ice water straight away to stop them overcooking. 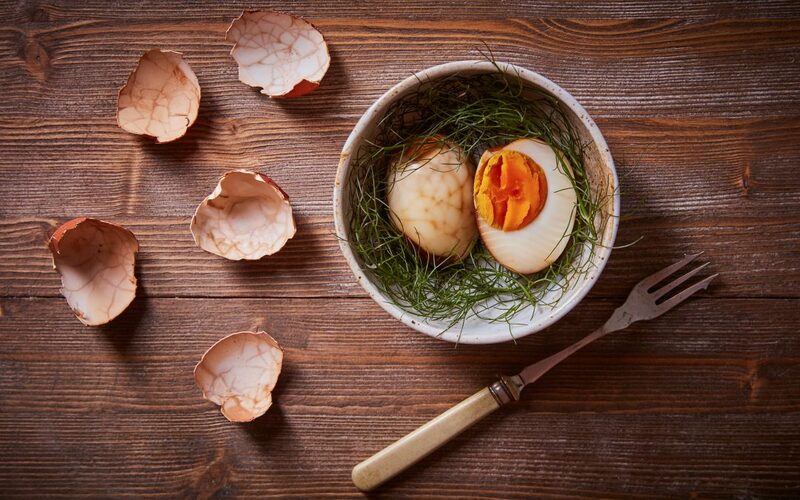 Using the back of a spoon, gently tap the eggs all over to crack the shells. Drop the eggs into the spiced tea mix and leave to marinate for at 2 hours or over night. To serve, remove the eggs from the marinade, and carefully peel. Cut in half and serve either as a snack or to accompany Ramen.